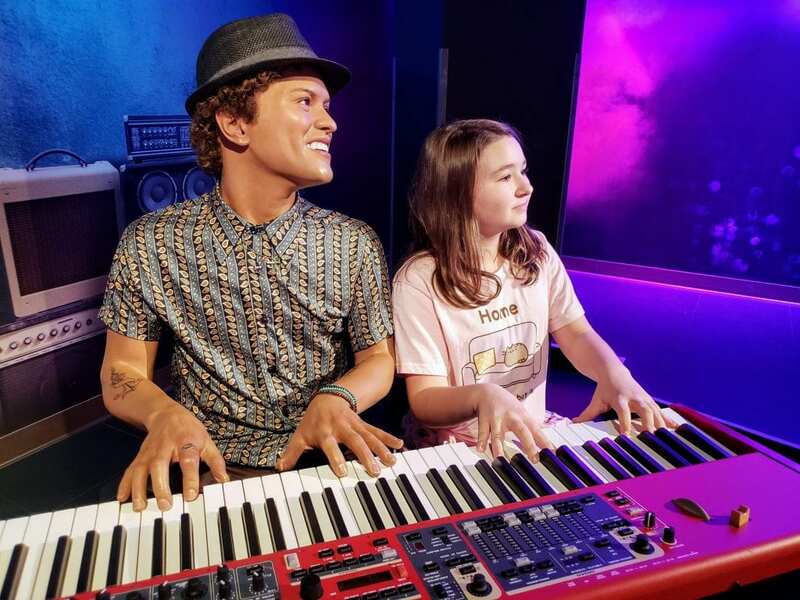 If this is the first time traveling to Nashville and you are looking for things to do with your kids, then we have the inside scoop. We have narrowed it down to our top 7 must see Nashville Attractions when traveling with kids. Recently, my family and I booked a trip to Nashville and had such a great experience! Nashville is ranked one of the “Cool Cities” to visit in the United States for 2018, according to National Geographic Traveler. We were prepared to tackle as many sights of the city that were family-friendly and fun to do. We had a great time and got to visit some amazing family-friendly activities during our trip! I am excited to introduce you the sponsor of this post, TripAdvisor. All opinions are my own. Since it was a first time visit for us, we knew we needed a bit of help. Where did we turn to get our reviews, ratings, and information about locations that were a must in Nashville? Where else but TripAdvisor! Not only was I able to read the latest reviews at TripAdvisor, it truly is a one-stop shop for booking all things family-fun. And trust me when I say the recommendations were spot on! 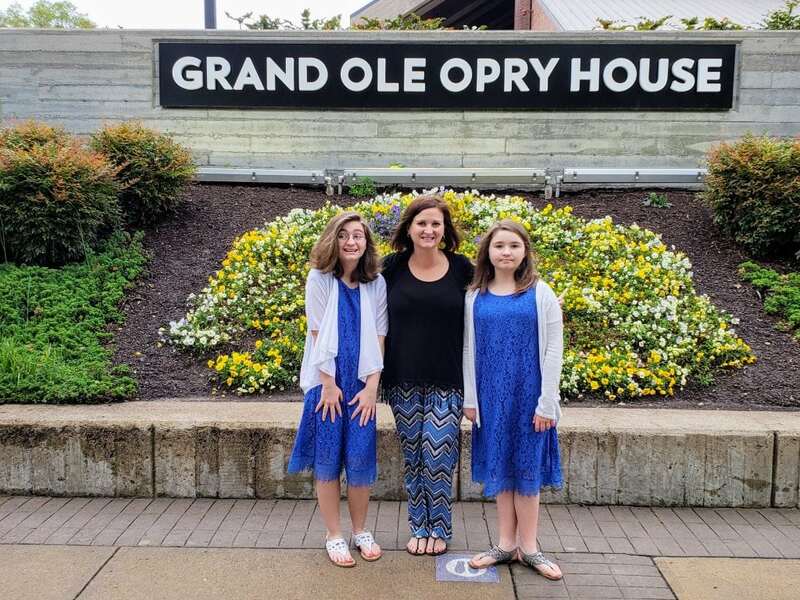 If you are taking your family with you to Nashville, here are a few of my suggestions on places that you should definitely visit! I loved the Discover Nashville Tour (Bus Tour) because we were all able to ride and listen. No one had to navigate or drive and we could all just “be.” It was a rainy day, so this tour made it even more perfect. Plus, it was a great way to learn about everything awesome that makes Nashville the place to be! And if you book this bus tour, you also get free admission into the Country Music Hall of Fame! Taking a trip to Nashville truly isn’t complete with your family checking out the Country Music Hall of Fame. Your kids will be mesmerized by all the activities that they can explore while they are there. And if you have a Taylor Swift fan in your family, a pit stop at the Taylor Swift Education Center is a must. Take the opportunity to introduce your kids to the home of bluegrass. 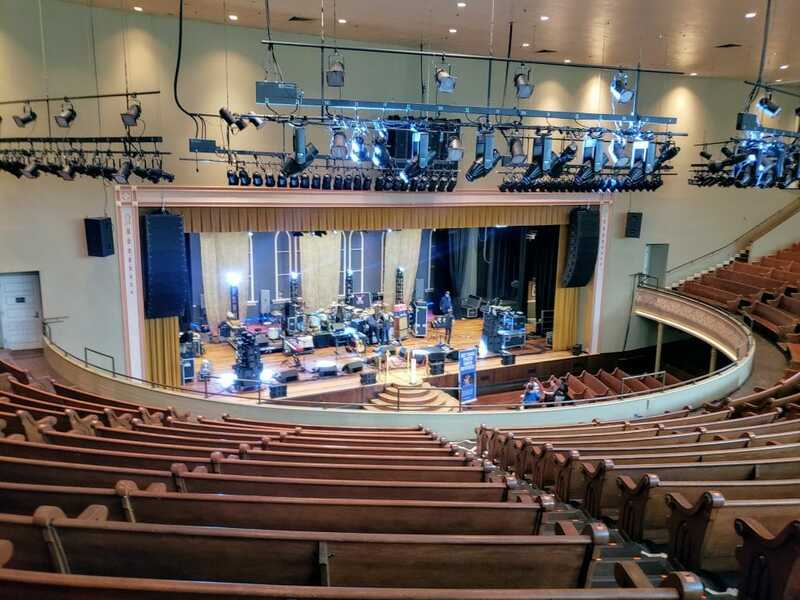 Visited by thousands each and every year, the Ryman Auditorium is full of amazing history and shows. 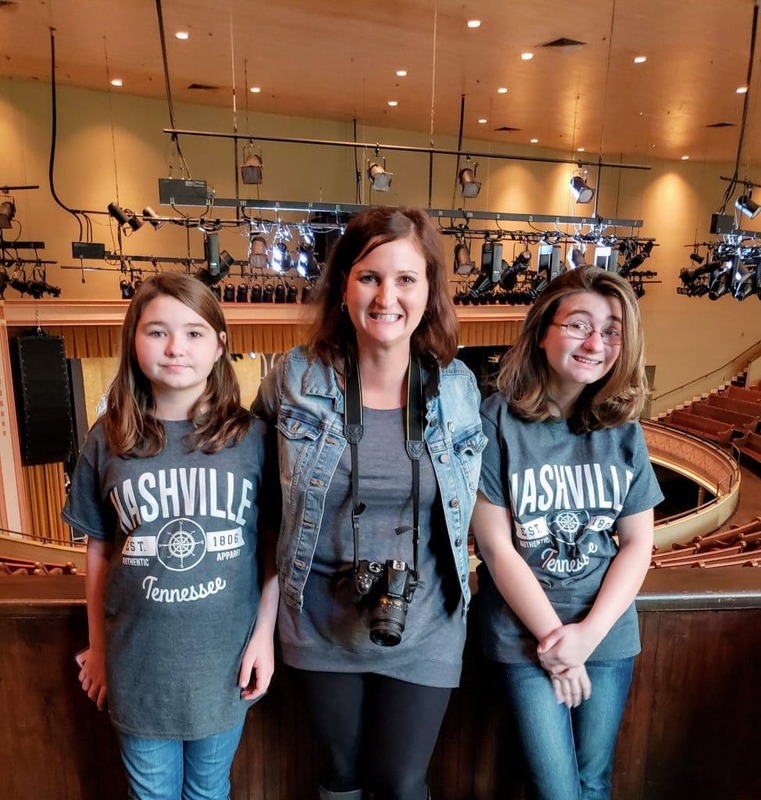 Your kids will be in awe to hear about all the musicians that have crossed paths at Ryman Auditorium. Definitely a must for your Nashville trip! Don’t forget to head on down to the original stage and get a photo! Why not take in a little art history on your trip to Nashville? The Nashville Parthenon is truly a site to see. Our family was so surprised (in a good way) to see this life-sized replica standing tall in the middle of Centennial Park. 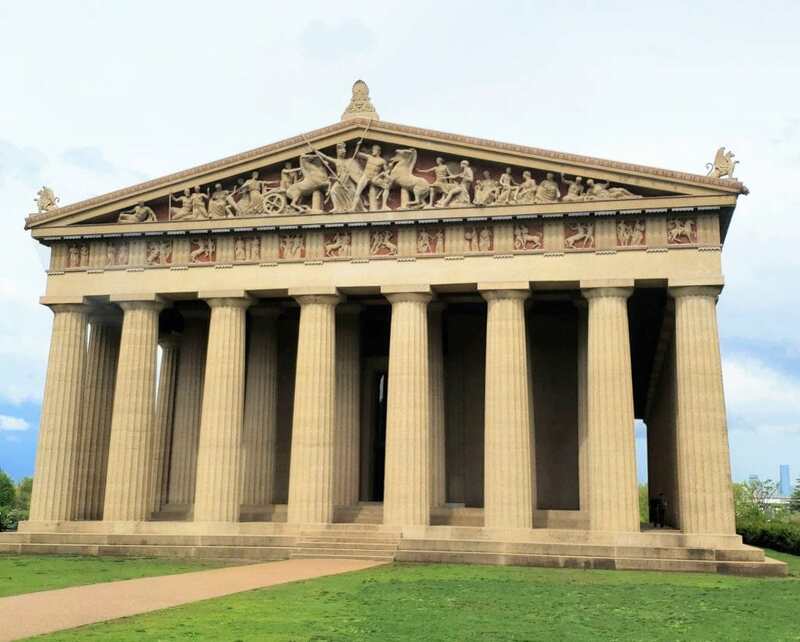 The Nashville Parthenon was built in the late 1800’s and is a life-size replication of the original in Athens. While on our Discover Nashville Bus tour, we did get to see it from afar. Next Nashville visit, we plan to take a trip inside to view the amazing artwork that it holds as well. Price is $6 for adults, $4 for children (ages 4-17). 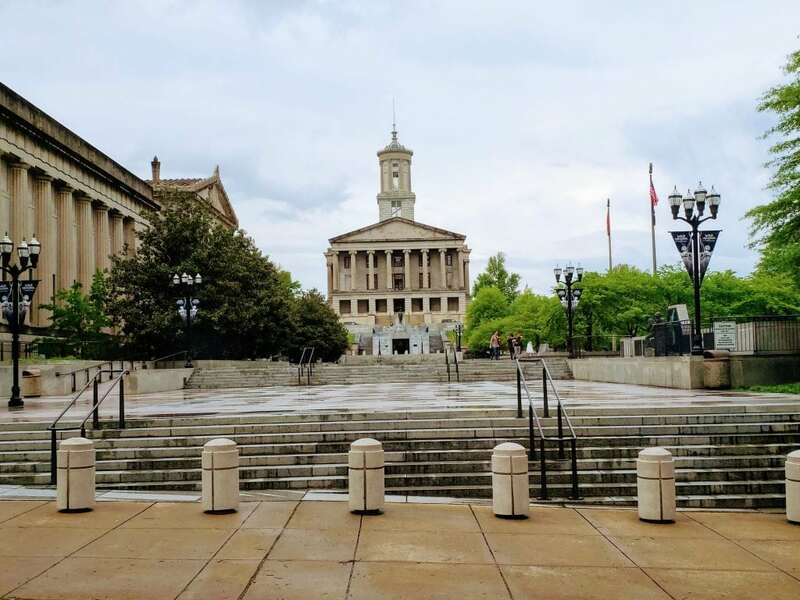 With all the amazing activities going on in the great city of Nashville, taking a trip to see The Tennessee State Capitol is an absolute must! The cool part is that they give FREE guided tours for the entire family to be able to walk about and learn about the inner workings of the government. Not only is it educational, but the architecture of the capital building is beautiful as well. (You can take a self-guided tour at your own pace if being guided isn’t your thing.) And if you happen to visit the state capital on a Legislative meeting day, you and your family will have the chance to actually view them in action! Talk about the showcase of the top musicians in Nashville! 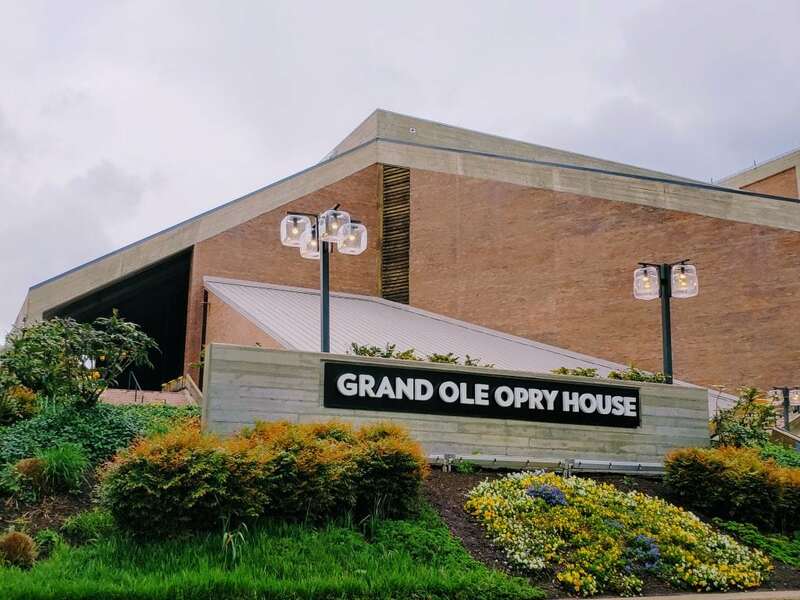 While we were there visiting the Grand Ole Opry, we saw John Conlee, Lindsay Ell, Tommy Emmanual, Jerry Douglas, Drake White, Bill Anderson and Chris Young. Whew, say that five times fast! It was simply amazing. And since you may find that you are going to be spending a ton of time there, there are some basic snack options offered inside like drinks and popcorn, and if you’re super hungry there are some great food truck options out front. My family and I absolutely loved every second of visiting Nashville. The energy alone in that city is enough to keep us coming back. Everyone was extremely friendly, accommodating, and genuinely pleasant (you are in Tennessee, of course!) It was truly one of those family trips that took little to no effort on my part when it came to planning. While I had to do a bit of research, TripAdvisor helped me in deciding on Nashville attractions for our families’ itinerary. 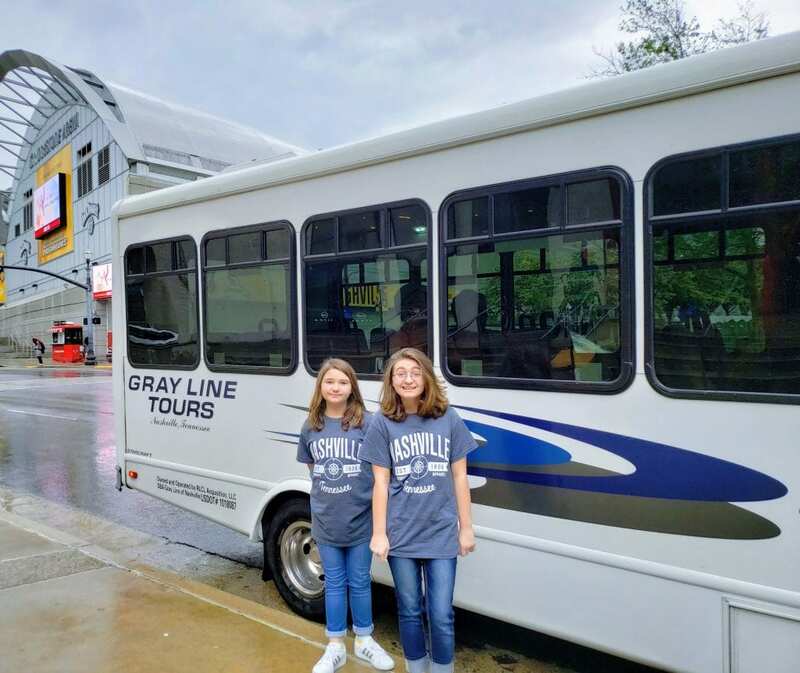 If you are looking for a great city with a ton of kid and family-friendly options, then Nashville is a great place for you! Simplify it even more by using TripAdvisor to help iron out those fine-tuned details!